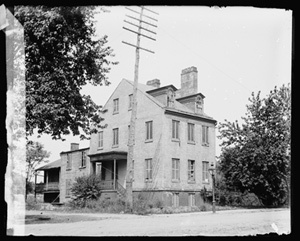 House built in 1818 by Captain Thomas Carbery at the corner of Seventeenth and C Streets in Washington, D.C. The house was razed in 1903 and is now the location of Constitution Hall of the Daughters of the American Revolution. Undated photo courtesy of the Library of Congress. Ann Mattingly's signature from her last will and testament.